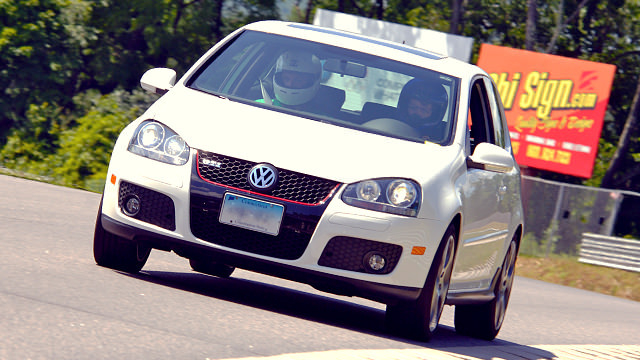 It took me a few days to figure out how to write about my track day because it was not simply a day of complete joy. Of course there were many “squeee!” moments, and the first session was absolutely fabulous, but mainly I was dealing with my idea of my performance on track versus my actual experience of it. They were in stark contrast, so I found it difficult at times. I needed to get out of my own head about it all, and be more patient with myself. Having a friend come to watch would’ve helped so I could talk it through, but no one was available on a Monday in July, so I was on my own. I went in thinking I was pretty fast for a beginner because in the four track days I did 12 years ago I went from last to first in the rain and in subsequent events I did just fine, staying or passing to mid-pack or higher. I got lots of positive feedback and my friends were my instructors. But I guess I was, well, 12 years younger, with friends all day, and also spoiled rotten by being out there with much slower cars or drivers. Let’s just say that was not the case this time. What’s funny is that my intention for the day was not to be fast, it was to just be open to doing this again and relearn the racing line and work on smoothly driving around the seven corners, because that is the key to speed. I even discussed this with my wonderful instructor, Morgan. I was very clear about what I wanted out of the day. I lined up last in the novice group so I could just go at my own pace... but then people started to pass me on the very short 1.53 mile circuit, and my competitive side came out and I got frustrated. I was nervous to be putting my car at risk, and I know I have to be very careful with low profile, very expensive wheels and tires. 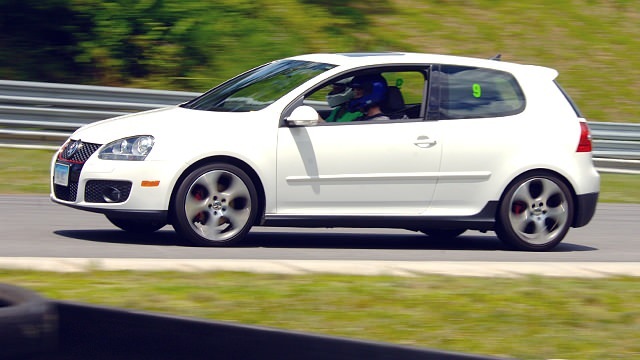 Having just bought the very fast 2009 VW GTi a few months ago, I wanted it to be an uneventful day so I could just try it out on track. I didn’t know how well it would handle, but I suspected it was ready to go faster than I was. I think that was the case, more or less. I chose to be in the Novice Group even though the club organizer wanted to put me in the Intermediate 1 Run Group. I didn’t want to have any pressure in addition to the already substantial pressure I put on myself in these situations, so Novice was right for me. That meant a very busy day from 09:00 to 13:40 with only 10-15 minutes in-between to drink water and get ready for the next classroom or track session. We had more time after session three to rest for session four. This was a very demanding schedule in the heat and stress and excitement of the day. It’s fantastic to get so much out of the day, especially after paying $345 for it, so I’m not complaining at all about that, it’s just that I found it very demanding physically and mentally, having been away so long. Keep going. Brake. Release. Wait. Turn in. The first session was great. Morgan told me what to do and I did it to the best of my ability. I loved the instruction going into Big Bend/Turn 1, “keep going, keep going, brake, brake, brake, release, wait, turn in”. There are two things that were hard about that; staying on the throttle as long as he wanted me to while every cell in my body is yelling “brake for God's sake!”, and taking that moment to wait before turning in. It’s so counterintuitive to just do nothing for a second to let the car unwind and balance itself before turning into the corner. In the days afterward I realized this was a nice metaphor for my life. I struggle most with doing nothing. I’m impatient and I always feel like I have to do everything myself to make things happen, when in reality maybe there are times when the key to some situation is to pause for a moment and let things come to me, to let things settle for a bit. The best sessions for me were one and four. In session one I was just so happy and pleasantly surprised that the racing line was coming back to me. It was fantastic. During sessions two and three I was flustered by seeing traffic wanting to pass in my mirror as I’m trying to do what Morgan says, not be scared, and not be frustrated if I messed up slightly, all while focusing on giving each car that wanted to go around a point-by at the right time in the passing zones. Plus, there was so much information packed into our hour and a half of class time that my head was kind of spinning and overloaded during sessions two and three, thinking about vehicle dynamics, maintenance braking, early vs. late apexing, and understeer vs. oversteer. I found it all kind of overwhelming. Unfortunately I was not able to let that go and just be in it and do the best I could. I got frustrated with myself for making mistakes, and that was the worst part. It was enough to go through that overwhelmed feeling, but to also be upset with myself for being overwhelmed and for not being able to go faster was salt in the wound. Morgan was very clear that I was open to learning, that I listened, I knew what I did wrong when I didn’t wait, had a slightly wrong car placement or I turned in too early. He was really excited for me and would say “Yes! Perfect! There it is!” every time I got corners just right, and I’d giggle a bit. That was the absolute best part of everything I did that day. And my braking points really came along well. I was braking very early into Big Bend at first, but by session four I was down to braking point two or one, and I never thought I’d get there. I do have to admit that I really felt at one with The Uphill/Turn 5 and The Downhill/Turn 7. They are scary corners, and I’ve heard many pro drivers talk about them that way, but when you do them right, it’s such a thrill. That was true with all of the corners, though. When I got them right, I could really feel the car just easing it’s way around. But I’d get a corner right, then I’d lose the technique on that one and I’d get another one right for a while, then lose that one and get the hang of another one. It’s a very technical track that requires a lot of bravery. I wasn’t content with how I did, but I wasn’t able to get faster during the day, and I wasn’t sure I wanted to, and I felt bad about that. The bottom line for me is that I got out there and did it. I didn’t crash, I didn’t cost myself any more money than I’d already spent on the day, and I didn’t get hurt. I did have fun and it was thrilling. I just don’t know if I’d do it again and I’m sad about that. But I wouldn’t have known that if I didn’t give it another try.